Hurricane Season Starts Thursday. 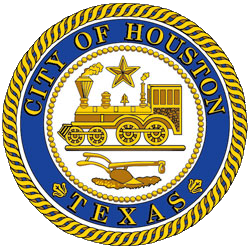 The City of Houston Urges Residents to Prepare Now. HOUSTON – The first day of the Atlantic hurricane season is Thursday, June 1st and continues through November 30th. The City of Houston is urging all residents to prepare. Regardless of whether or not you live in an evacuation zone, everyone should be ready to respond if a hurricane threatens our coast. While a majority of residents in the City of Houston lives outside of a Hurricane Evacuation Zone, it’s important to remember that those residents along the coast may have to evacuate if a storm threatens our area. Hurricane evacuations are issued in a coordinated fashion between local governments (cities and counties) and are called by ZIP code. Regional law enforcement agencies will work to help keep evacuation routes open and traffic moving along designated routes. For a map of hurricane evacuation zones and designated travel routes, visit houstontx.gov/hurricanes. The National Weather Service is predicting an “above-normal” year for hurricanes in the Atlantic. The City of Houston reminds residents that the time to prepare for a hurricane is now. If you plan on riding out the storm in your home, make sure you have a “stay at home kit” with enough supplies to last 5-7 days. This includes sufficient food, water, medications, batteries, flashlights and sturdy work gear and gloves in case you have to remove debris following the storm. If you plan on evacuating, have a “go-kit” ready to do with supplies for 3-5 days. Remember that you may be far from home for longer, so make sure you have enough medication and other essentials for the time you are planning to be away. For a full list of supplies to have in your kits., download a copy of the City’s Disaster Preparedness Guide at houstonoem.org or call 3-1-1 (713-837-0311) to request a printed version in English, Spanish, Vietnamese, or Chinese (online versions also include Arabic and French). If you do not live in an evacuation area, you likely would not need to evacuate. Make a plan for your family to ride-out the storm. Select an interior room on the lowest floor possible and have what you need to secure your windows from strong winds, including pre-cut plywood. If you live in an evacuation area, be prepared to evacuate.This means pre-designating a place you’ll go, and ensuring you have enough supplies for your household for 3-5 days. Depending on the size and severity of the storm, people who live in certain evacuation zones may not need to evacuate, so be prepared to shelter-in-place if an evacuation is not called for your area. Stay informed throughout hurricane season about developments in the tropics. Visit hurricanes.gov for the latest information from the National Hurricane Center, and houstonemergency.org for updates from the City of Houston. Houston residents should also sign up for AlertHouston at houstonemergency.org to receive notifications from the City when a hurricane is threatening our area. You may also follow @AlertHouston on Twitter and Facebook for the latest. When disasters strike, communities rally together to help each other recover. Meet your neighbors, and take an inventory of who has certain supplies and skills, and make a plan to work together if a hurricane hits. Also, ensure that the most vulnerable in our community, those who may have a medical need or disability, or who may need extra assistance in a storm are looked after. You may also help them register for the State of Texas Emergency Assistance Registry (STEAR) which provides emergency agencies with information about their unique needs. Call 2-1-1 (877-541-7905) or visit texasstear.org to register. Preparing can seem overwhelming, but there are resources and information available to help get the process started. This Saturday, June 3rd, from 10am – 3pm in Hall A of the George R. Brown Convention Center, join the City of Houston and regional response agencies for the 2017 Extreme Weather Ready Expo (weathereadyexpo.com) for the latest information on preparing for extreme weather, as well as free giveaways, fun and games. This free, family-friendly event is one of the best ways to start the process of preparing.